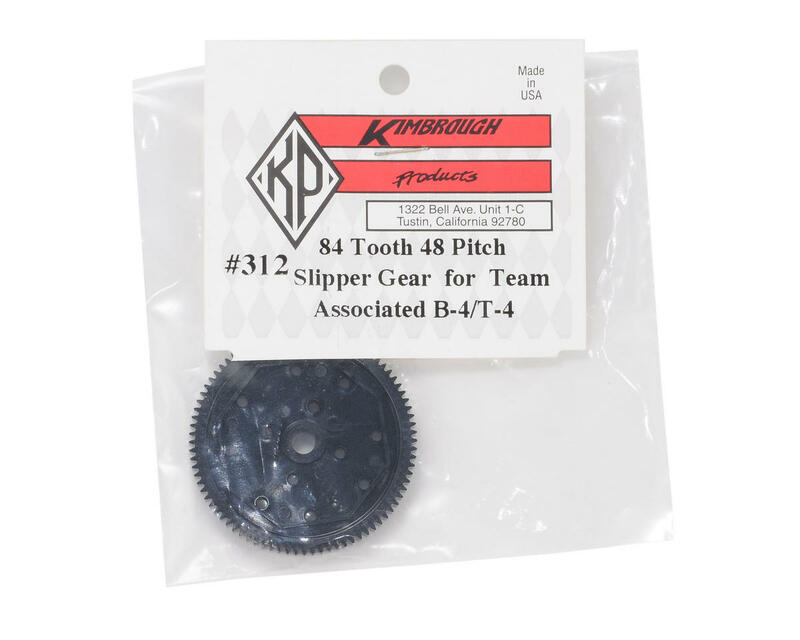 Kimbrough Products 48 Pitch slipper spur gears were developed for Associated B4, T4, B5, T5, B44, SC5 and SC10 vehicles. Kimbrough Racing Products Plastic Gears have been used to set all of the unlimited speed records for R/C 1/10 scale electric cars in the U.S., and are used by a majority of the top professional R/C car racers around the world. The best drivers in the world trust Kimbrough gears, so you know you can too! 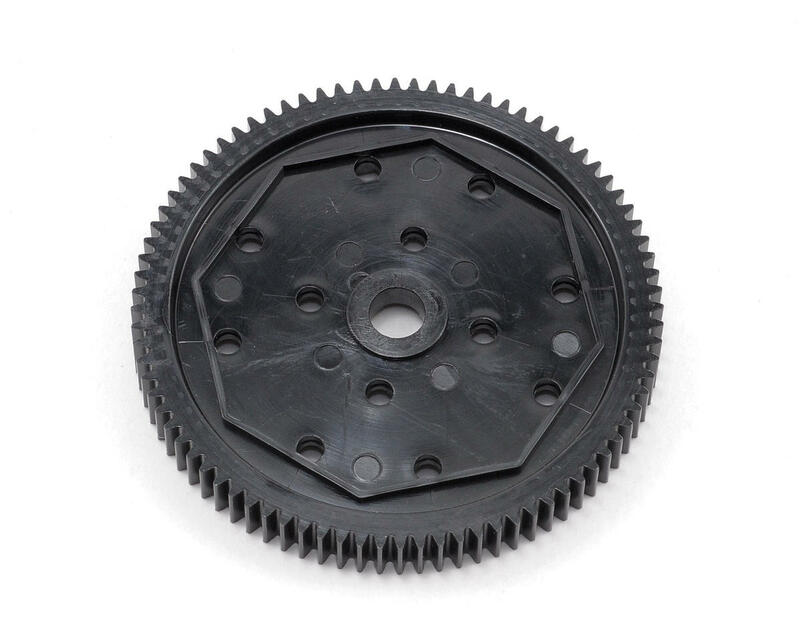 Kimbrough spur gears are molded with black 4/6 Nylon plastic, because black dissipates heat into the air better then any other color - and high temperatures are not good for thermo-setting plastics. This plastic is almost three times tougher and will withstand operating temperatures 75° to 125° higher than plastics used by other R/C car gear manufacturers. Kimbrough spur gears are full width, because a narrow or profiled plastic gear can deform under load, is weaker and less efficient. This can cause drag in the gear train and waste horsepower. The wider a gear is, the more load it can handle. The only time gear engineers narrow gears, is when there is a space limitation. Kimbrough Racing Products gears run quiet because they have the correct tooth shape and don't have to be narrowed. Choose from a variety of tooth count choices to allow you to fine tune the torque and top speed of your model. NOTE: The use of full width pinion gears is highly recommended. Forget those Silent Speed gears, this is all you need. Pair it up with a Robinson Absolute pinion and you'll have the quietest car on the track. Great spur gears, i use them in all my offroaders. Kimbrough spurs are pretty great, I've been using them in most of my 10th scale RCs without a single problem. They're tough, true and fairly quiet. This 69T in particular is perfect for stock gearing on B4(.1/.2) buggies.